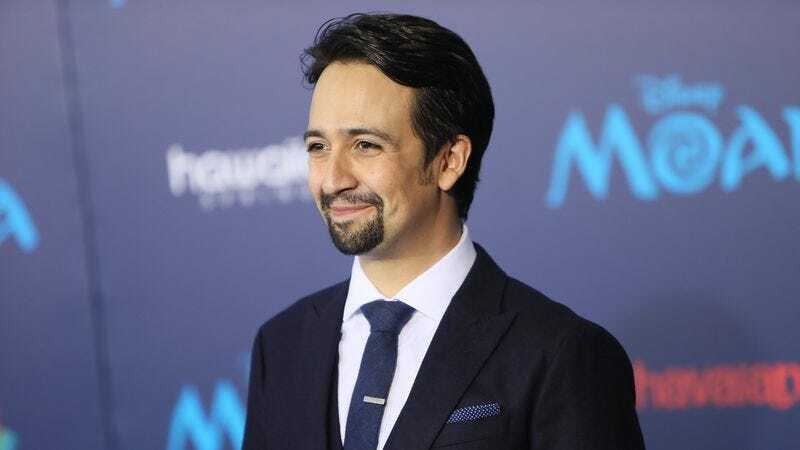 Lin-Manuel Miranda—for whom time is no match for unbridled creativity—has another high profile project in the works. In an interview with Vulture to promote Moana, he revealed that he’s masterminding an animated film for Disney alongside Zootopia and Tangled co-director Byron Howard. The pairing was John Lasseter’s doing: “Lasseter took me aside and said, ‘I have an idea: Here’s Byron, and you guys should start talking,’” Miranda explained. Their proposed animated film is still in the very early stages: According to Miranda, the two are simply “plotting” at the moment. So now we just have to wait patiently for another seven or so years until Miranda devises an original concept that earns every superlative there is, à la Hamilton. Miranda will keep busy until then: He still has to star in the Mary Poppins sequel and help out on the live action Little Mermaid for the company. As for the latter, he told Vulture he’s still not exactly sure what he’s going to do for that revival, but he’s willing to lend a hand in just about any capacity.